One of the very first steps in building a website is picking a domain name — one that’s memorable, and that tells people who you are. It’s the first part of your site that people encounter, so you want one that’s just right. A modern design that makes it easy to see and compare all your options. Intelligent recommendations, drawn from more than 300+ top-level domains like .com and .blog. 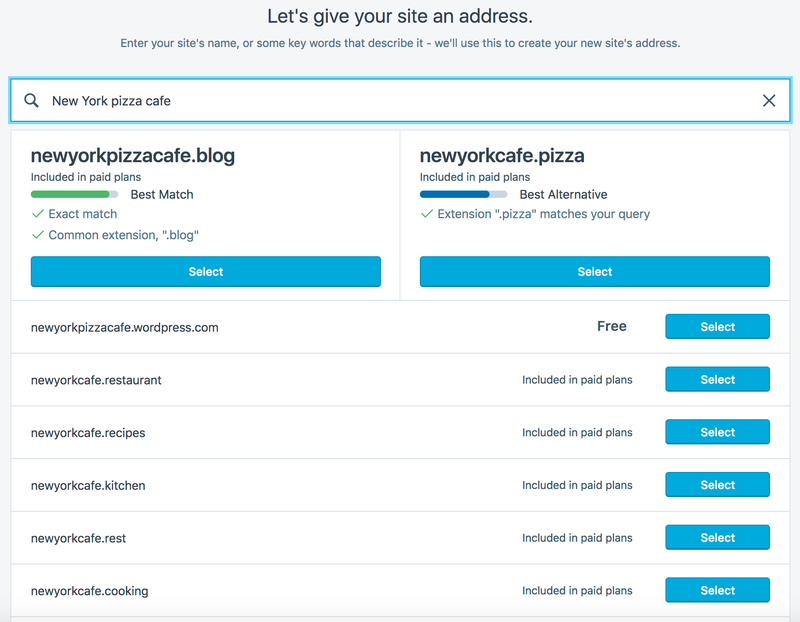 Important information about availability and value for all your recommended domains, front and center. Best of all, this search tool works for both new and existing WordPress.com websites. To explore new domains for your current site, head to My Sites → Domains. If you notice any anything amiss while looking for your perfect domain, let us know by leaving a comment here. And if you just had a great experience and landed a new domain, we’d love to hear that, too!